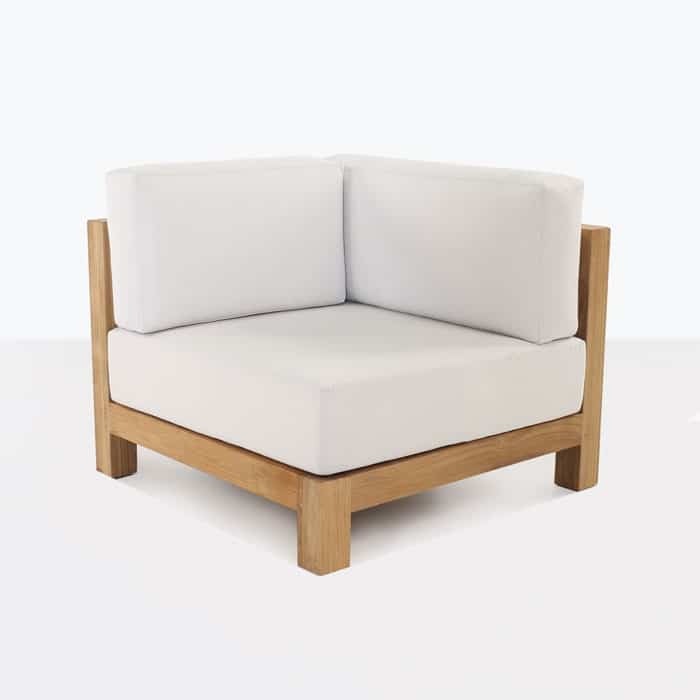 The Ibiza Sectional Collection is a stunning powerhouse of a-grade teak and Sunbrella cushions. 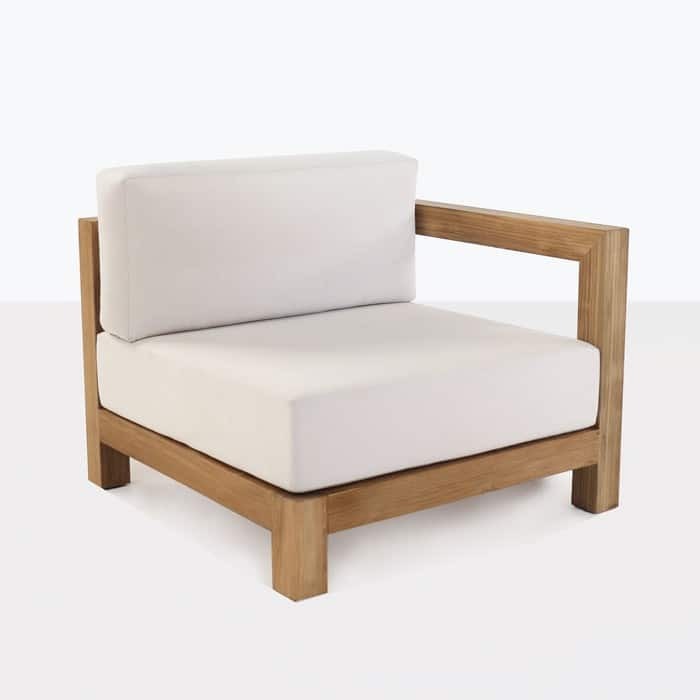 The design is simple, yet smart and can be reconfigured to create a seating area that will suite your outdoor space. Go for a dramatic extended sofa or create a more intimate and cozy l-shaped seating arrangement. 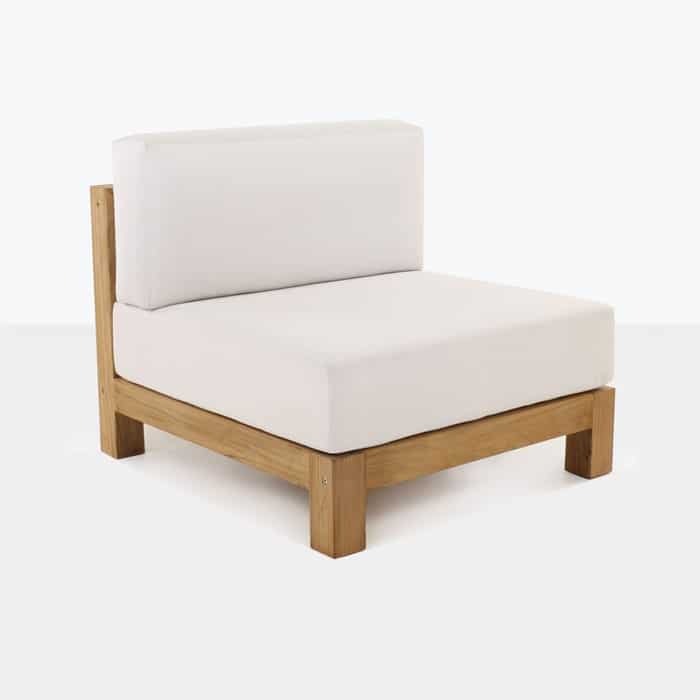 Whether your space is big or small, the Ibiza pieces will work for you. Shown in the photo above is 4 center chairs, 1 right arm chair and 1 corner unit. 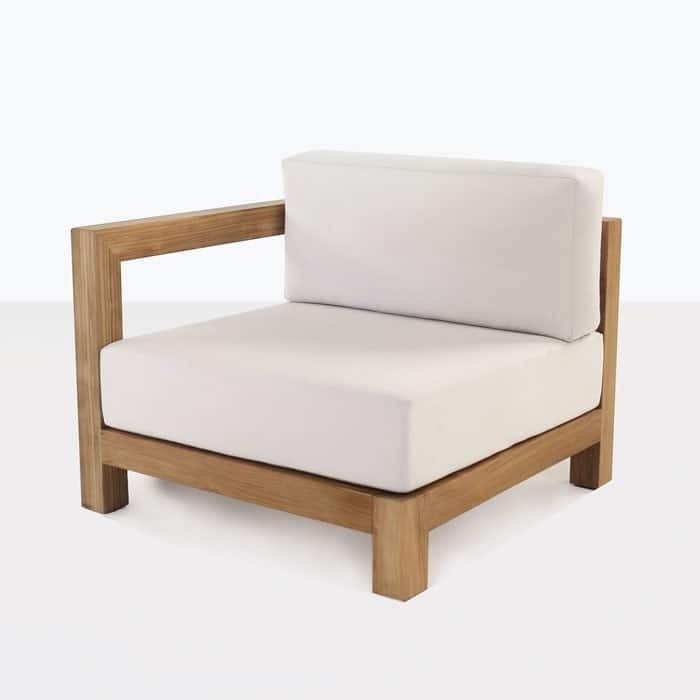 The Ibiza is made with the best quality teak, which is a-grade teak. We used thick robust pieces to create the sturdy frame and stunning look. This is topped with large deep Sunbrella cushions for optimal comfort. Teak is easy to maintain, but should be kept clean so it always looks it’s best. It is simply the best wood for outdoor furniture. We use 316 marine grade stainless steel fittings to secure it so you can be sure these pieces will last. Call or email us today, we look forward to helping you configure the Ibiza sectional collection to best suit your needs. We are open 7 days a week, so visit our showroom to experience the stunning Ibiza Sectional Collection.